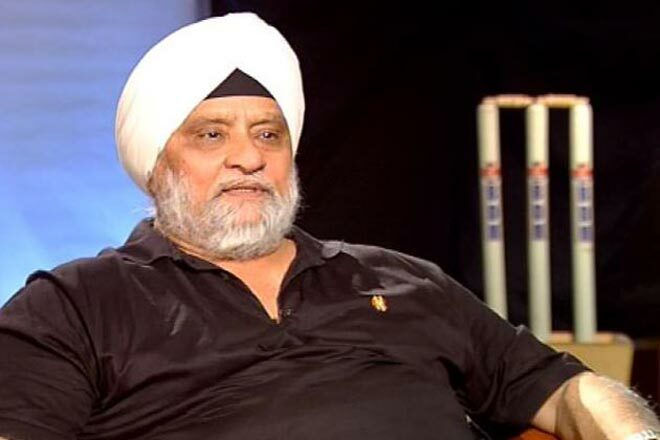 New Delhi, Nov 29: Former India cricket captain Bishan Singh Bedi on Wednesday urged the Board of Control for Cricket in India (BCCI) to bring back the older version of the Duleep Trophy, which he felt should have zonal teams. While the BCCI excluded the Duleep Trophy from the 2015-16 season, in the last two seasons, the teams were named as India Blue, India Green and India Red. The teams were composed of players from across the zones. Delivering a memorial lecture at the first Delhi and District Cricket Association (DDCA) annual conclave, Bedi also urged the young cricketers to prove their talent at the two domestic competitions before thinking about the franchise-based Indian Premier League (IPL) Twenty20 tournament. Bedi said that the cricket officials should have a re-look at the way the Ranji Trophy is played. He minced no words in criticising the current state of the Duleep Trophy. "These two competitions are crucial to our cricket structure. It used to be a ladder -- you do well for state teams and then go on to represent the zonal teams. That tradition has been broken. "Ranji Trophy needs a fair and hard look. Duleep Trophy should not see the colours instead of zones," he said, referring to the names of the teams in the current mode. That has to be the criteria for international consideration. "I have no issue at all on those going for T20s and IPL matches. Assessment of a talent has to be on the figures of first-class cricket," he insisted. Bedi also "respected" current Indian skipper Virat Kohli's complaint of a cramped international cricket schedule. He also had words of praise for Kohli. "Kohli's intensity during a game which he displays -- I have not seen that in any other Indian. But I don't agree with some of the gestures he does on the field. But with time, he will mellow," Bedi, who unveiled a stand named after him at the Ferozeshah Kotla, said. Commenting on the issue of resumption of bilateral cricket ties between India and Pakistan, Bedi said that cricket should be kept above politics. "Cricketers play cricket. They are not supposed to stop terrorism. It is the same thing with the films. What is the point of curbing them in this?"